The other day was Law Enforcement Appreciation Day. And in a way to honor out men and women in blue, buildings other structures were lit up in blue. I'm not sure where, when or why this trend started, but it seems more and more common to light sky scrappers, bridges and government buildings in one color or another for some reason or another. As one would expect, the White House did not partake in this. Also as one would expect, there was a fair amount of criticism for this. 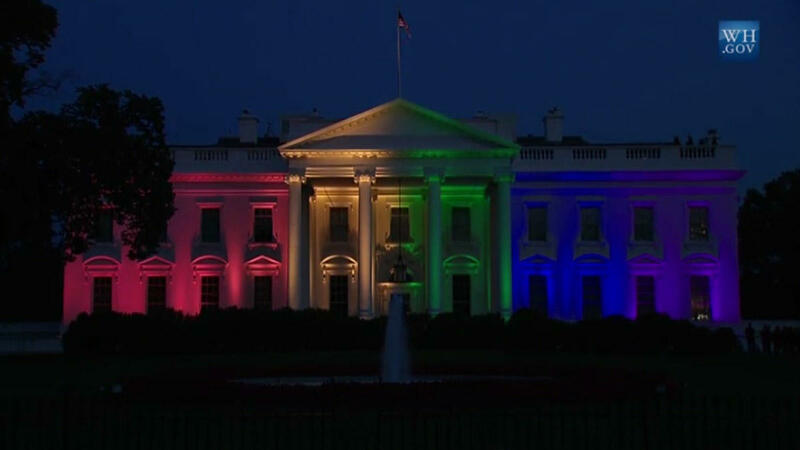 After all, the White House was lit up like a rainbow flag not too long ago. The White House was lit up like a rainbow flag a while back. There was criticism over that too. Much of it was by the same people who are criticizing about the White House not being blue as few nights ago. Personally I don't think the White House should have been lit up like the rainbow flag. I also don't think it should have been lit up blue either. Or any other color for any other reason. It should just be the White House. The home and working office of the President of the United States of America. That building shouldn't be used to celebrate, remember, or recognize something. It should just be the White House.